Submissions are CLOSED AT THIS TIME. We open once a year during the summer, so check back in summer 2019. In the meantime, keep an eye on all the work we’ll be publishing – let it inspire you. All work is welcome. We are nice and we are dying to hear/see/feel what you have to show us. This is the most important thing we can tell you: WHAT YOU SEND US DOES NOT NEED TO BE PERFECT AND POLISHED. IT JUST NEEDS TO BE IMPORTANT TO YOU. Are you proud of it? Great! Then send it. NOTE: We are NOT a contest or competition site. Hypernova Lit does not hold any writing/art contests and we do not award prizes. We publish work – that’s all. We want work that connects to the heart and the gut. We want honesty and fearlessness. We want risk. We do not censor. All content is welcome. Hit us with everything you’ve got. WRITING: Any and all types of writing are welcome. Short stories, prose poetry, traditional poetry, blackout poetry, creative accounts of your life and experiences, essays about yourself, essays about what you love, plays, scripts, letters, lists, rants, lyrics, journal writing, dream writing, ALL writing. ART: Any and all types of visual art are welcome. Photography, digital art, sketches, paintings, charcoal and chalk drawings, pen and ink, portraits, sculpture, pottery, textiles, fashion, tattoo flash, calligraphy, graffiti art, sketchbooks, mixed media with text and visual, collages, ALL art. NOTE: While we are definitely open to anything you would like to show us, we’re particularly interested in work that addresses the current social and political climate of the U.S. – Black Lives Matter, immigration issues, LGBTQ rights, women’s rights, feminism, #metoo, school shootings, etc. – OR the social and political climate of where YOU live. We want to know what you think about it and how you deal with it. Writing should be attached in a Word Doc or a PDF, or pasted directly into the email. Send all your submissions in one email. Art should be attached in JPG or PNG form, or pasted directly into the email (if the file is not too big). Send all your submissions in one email. In the SUBJECT of the email say what it is (story, poem, photography, drawing, or just writing or art). A sentence or two about what your work means to you, how it makes you feel, why you create, etc. And then celebrate! You sent work out into the world. You are brave and amazing. Some work accepted for publication might undergo an editing process between the artist and the editor. If you are under 18 and your work is accepted for publication, you and your parent or guardian will need to sign a release for the work published. We do not publish works that have been published anywhere else, except perhaps in a high school literary magazine that is not nationally distributed, or on your blog or personal website. We acquire exclusive first-time Internet rights for all works we publish. Works are also archived online. All other rights, including the right to publish in print form, revert to contributors. We ask for three months of exclusivity before the work is published elsewhere. Should the work get picked up by another publication after Hypernova Lit, even if it is re-edited, we ask for the standard industry credit–something along the lines of “This work originally appeared in Hypernova Lit,” with either a hyperlink to your work or to the Hypernova homepage (www.hypernovalit.com). As much as we would love to pay our contributors, it’s just not in the budget. If you have any questions at all about anything, please email hypernovalit@gmail.com. i would like to ask a couple opf questions about what we need to write in order for uss to at lesat be acknowlaged within the program.. Absolutely! Please feel free to email me at hypernovalit@gmail.com. I look forward to talking with you! And for the record, we consider all kinds of writing and art for publication. Will there be prizes for the chosen works? No, just publication for now! I actually have several questions if you’ve got the time. For starters, is there a registration fee? What about word count limits? Do you show this work to various colleges, like Harvard or Stanford? How far does the publication reach? Could I submit an entire book? I’ve only got the first four chapters so far and I’ve got five hundred words on another piece I’m working on. Do you have to join Hypernova Lit in order to submit? Hypernova Lit is just an online journal, there’s nothing to join. There is no fee to submit or read Hypernova. I haven’t established any word count limits- that’s more on a case by case basis. But I probably wouldn’t want to publish anything over a few thousand words, approximately. Regarding an entire book, no, this isn’t an appropriate venue to submit a whole book- instead, you could submit a chapter or an excerpt. 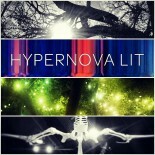 I don’t market Hypernova Lit directly to any colleges or institutions. The magazine is small and has a somewhat limited reach at this point, mainly via social media and word of mouth. Let me know if you have more questions. You can leave them here or email me at hypernovalit@gmail.com. There are no deadlines. We accept submissions year round. Please send us work whenever you like! How long does it take until we receive a response from the editors/staff? Hi! We’ve been getting to submissions within maybe two weeks. Hello! Is work that includes swear words acceptable to submit? Hi! Yes you can. Your actual name needs to be on the consent form but we can publish you under any name you like. We are closed for submissions right now, though. Keep an eye on our submit page for the next open period. In this competition are there any winners or prizes given? And if my work was to published, could be applicable for colleges to put on my CV as in a certificate or something? Would there be any proof of this publication? This site does not hold any contests or competitions of any kind. There is no prize or compensation for publication, should your work be accepted. You could put the publication on your CV. The link to the piece itself where it would appear on our website would be your proof. Thanks! When will we receive a response about our work? Hi- no, there is no payment. Thanks! I am much eager to submit a short story written by my 13 years teenage boy from Don Bosco School , Park Circus , Kolkata who is an enthusiastic learner and very keen to write stories or articles related to his own interest. If you give opportunities to aspiring writers like my son , then he will be much encouraged and derive confidence. Do let me know . Hi- our submission period is in the summer. Please check our site for dates. Thanks!